Ookpik's Negativity: What Is This Blue Stuff? These aren't so much specks as they are breaks in the emulsion. This is common with film stored in attics where they suffer under high temperatures. Treat your negatives like onions. A dark, cool and dry place is best. I Have the same thing on many of my old family slides from late 1950 thru 1960. I thought it was some kind of fungus. 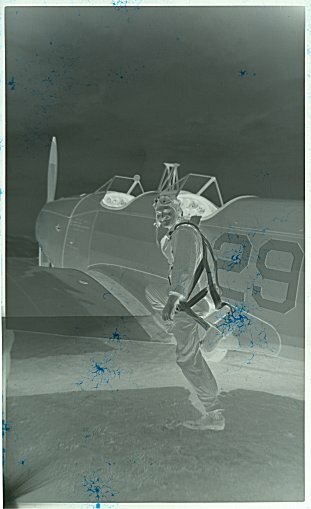 I was hoping that someone knew how to get rid of these as well, but if it is cracks in the emulsion then I don't think there is anything that can be done except to scan and restore digitally. Photshop is my friend.